In 1963 Sir Winston Churchill was honored by President J.F.K. 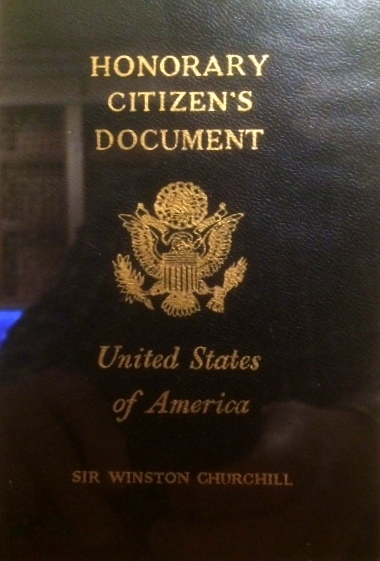 with honorary US citizenship. 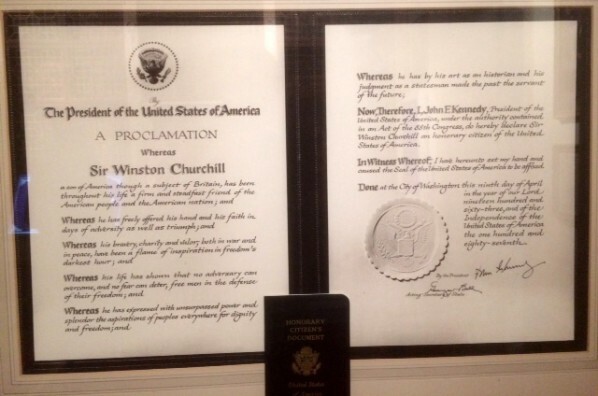 You can see how this special passport is handed over to Churchill’s son during the proclamation. The original (?) 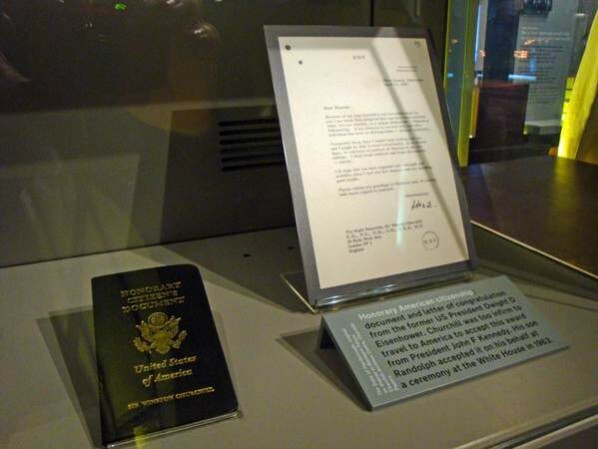 document is on display at the Blenheim Palace in Woodstock, England. (Thanks to my fellow collector who provided also the pictures)! White House. Guests assembled for the Proclamation of Sir Winston Churchill an Honorary Citizen of USA. American President John F. Kennedy, Mrs Jacqueline Kennedy and Randolph Churchill, Sir Winston’s son on the right of picture, walk to the microphones. President Kennedy speaking, he starts to speak – natural sound. 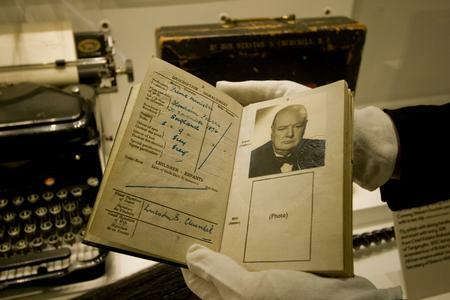 He talks about Churchill’s greatness and his living legend status. He finishes speaking. Crowds watching from outside White House. Randolph Churchill speaking – natural sound. He reads a letter from his father address to American President in which Churchill talks about great honor, continues about comradeship of the two states and accepts the citizenship with pride. Randolph Churchill finishes. Crowd watching. US Secretary of State Dean Rusk starts to speaking – natural sound. He is officially handing the passport. 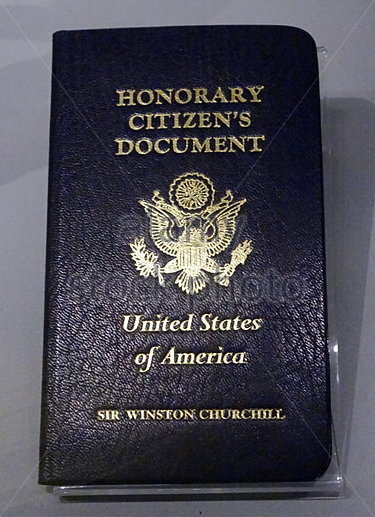 He finishes speaking, hands the passport to President Kennedy who hands it to Randolph Churchill who thanks him for it. But then there are also these pictures which shows that the Blenheim Palace document might be a copy only! ?